The thing is, either blogger deleted the review or I got distracted and never copied the review in to blogger before shutting everything down Friday night. I hate when this happens because there is a certain authentic mindset when you go in for the first scoop of a new flavor and it's hard to recreate that after the fact if I don't even have notes to go off of. Am I rambling too much? 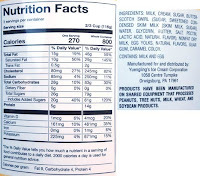 You just want to know how this one tastes so you can rush off and figure out what store has it? Ok, fine, for all you east coast folks, here we go (sorry west coast people, Yuenglings comes out of Pennsylvania). So the legend goes that butterbeer is “a little bit like less sickly butterscotch". I think that implies butterscotch is a bad thing, which it is not. The description is apt though as this is basically a more mellow butterscotch. It's as simple as that. A lot of the times when describing a flavor like this I will say something like "it tastes just like a werthers". This flavor would be a more mild version of wethers. It's still butterscotch, but in a mellow way. 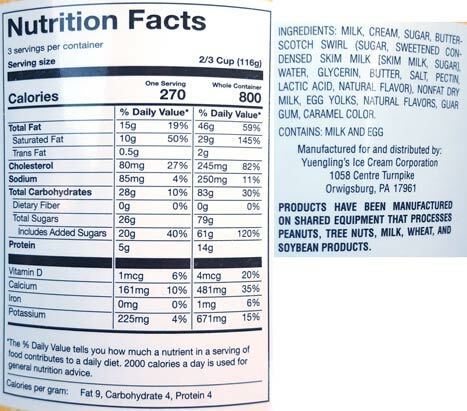 For those of you that have found this review but have never had Yuengling, their ice cream is lighter than super premium Ben & Jerry's or Haagen-Dazs ice creams, but heavier (and less gummy) than your main stream ice creams like Edy's or Breyer's. 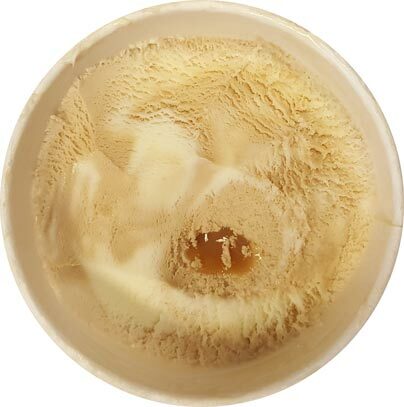 This was the only butterscotch puddle I found in the first third of the pint. Hopefully there will be more as I go further down. I don't remember my particular thoughts on it, but I'm pretty sure I liked it. Ok, that's it for now, time to go for the live second scooping. 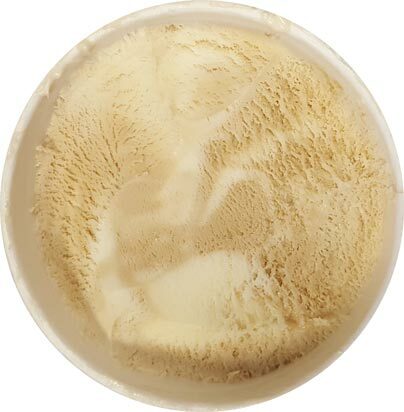 On Second Scoop: It's funny how much butterscotch smell wafted off the pint as I opened it. I take a few bites and I kind of envision a mild butterscotch frosty. I thought I remembered it being a little less strong and a little more sweet on the first try. There's also a little bit of dryness to the aftertaste. The swirl, when occasionally noticed, seems to be razor thin for the most part (though maybe it'll be more abundant in the quart version once it comes out). There's nothing really crazy going on here, but Yuengling doesn't do crazy, that's not their thing. 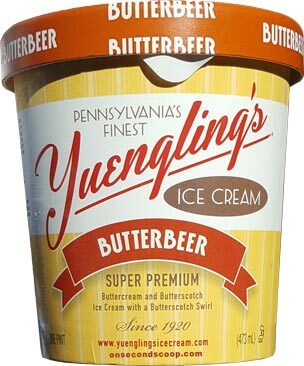 Right now I'm debating about how I would probably pick this over a sea salt caramel flavor just because I think butterscotch is a little more robust and interesting. I'll be curious to see what others think of this one. lol your review started off sounding promising but... not so much? This makes me miss Scotchy Scotch Scotch. My biggest critique is probably the lack of a significant swirl to keep things a bit more exciting. It's not a bad flavor and I'd personally choose it over SSS. in time they will all switch to the new format though it would be nice if they had done it at the same time to make our lives easier. I was disappointed in the lack of butterscotch swirl in mine especially when the description distinctly says there's a butterscotch swirl. It was meh.